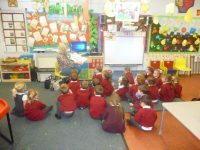 Mrs Rhodes said an emotional goodbye to the Reception class on Friday. There were lots of tears but also lots of smiles and cuddles. We held a little party whilst she opened her presents and wished her all the best for the future! 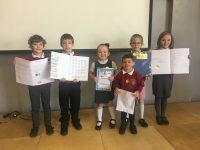 Congratulations to the children who have been recognised for their excellent work last week and shared it in celebration assembly on Friday. Keep it up! 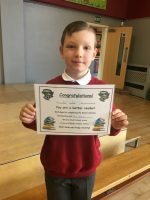 Well done to the children who have been recognised for displaying one of our school values and were awarded with a Headteacher’s certificate in celebration assembly. 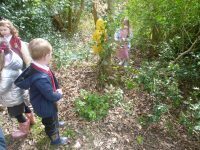 The children have loved learning about Easter, they have made cards, cakes, the Easter Garden and even been on an Easter Egg hunt in the woods. We hope you all have a fab Easter! Hillside held yet another successful Easter service at Milton Church on Wednesday. Father Brian gave the opening welcome as well as the closing prayer. 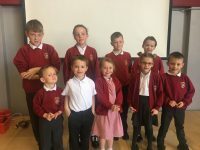 The children performed a range of poems and songs with an Easter theme and there was a selection of Easter songs that we sang as a school. 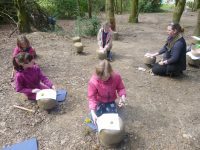 On Friday, children from Burnwood Primary School came to experience Forest School at Hillside. We took part in den building, fun games, nature bashing (creating beautiful pictures with dandelions!) and exploring the woodland area. It was a lovely afternoon and all children had a fab time! The Year 4 children are enjoying using thermometers to measure the temperature of melting ice cubes. They are working scientifically to observe changes over time. Thank you to all the children who came to tonight’s discos. There was lots of dancing, singing and fun! 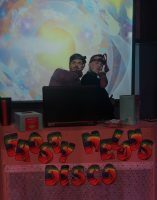 Thank you to Frosty Melons DJ service once again – the tunes were fab. Thank you also to the PTA and staff for your organisation and time.